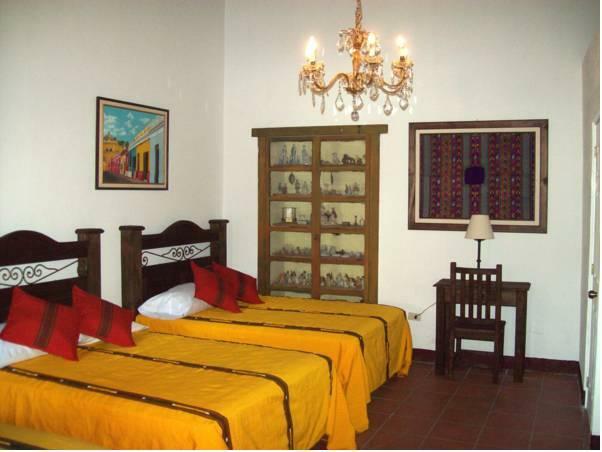 ﻿ Best Price on Hotel Casa Antigua by AHS in Antigua Guatemala + Reviews! Hotel Casa Antigua is housed in a historical building only 2 minutes’ walk from Antigua's central park, and offers a rooftop terrace with panoramic views. Free Wi-Fi, free coffee and free bottled water in public areas are included. Rooms at this hotel feature a work desk, wardrobe and cable TV. The bathrooms are decorated with traditional painted tiles and come with a shower, while bedrooms feature antique furniture and traditional Guatemalan textiles. 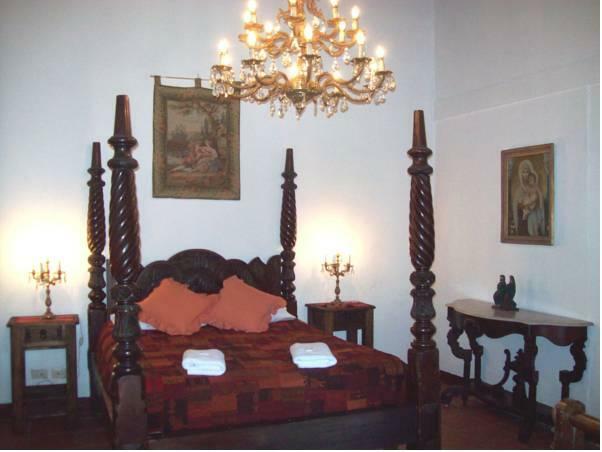 Hotel Casa Antigua has on-site shops, meeting facilities, terraces and 3 gardens with fountains. The hotel staff is bilingual and Spanish lessons are available. Guests can also use the swimming pool and sauna at the hotel's sister property for a small extra fee. The hotel serves breakfast for an additional charge, and vending machines with snacks and drinks can be found on site. Free secure parking is available at the hotel. La Aurora International Airport can be reached in a 40-minute drive. Guests can also use the swimming pool and sauna at the hotel's sister property for a small extra fee. Guests staying two nights will receive a complimentary Day Pass for the pool, while guests staying 5 nights will receive two Day Passes for the pool. Please note that the parking place needs prior reservation and it is located 5 minutes' drive from the property. Please note that only 1 pet per room is allowed at USD 5. Please note a 6% fee will be charged when paying with credit card. Please inform Hotel Casa Antigua by AHS of your expected arrival time in advance. You can use the Special Requests box when booking, or contact the property directly using the contact details in your confirmation. The stay was short but sweet. 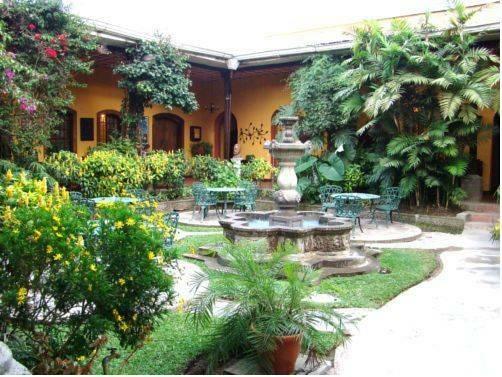 It is such a beautiful hotel with wonderful gardens and located in a great part of Antigua, right near Central Park. Unfortunately, it is really expensive compared to other accommodation in the city. On other nights, we stayed in hotels just as nice for half the price. Agoda posted a discount from 140 to 70 dollars which is not true. The hotel price is always 70 dollars. Plus taxes I paid 100 dollars, which is more expensive that other much much nicer hotels in the area. The hotel is overpriced. Location is great, but other options are only 4-5 blocks away. Nice garden and room, but I could get the same in other places for 60 dollars. Beautiful tropical plants in public areas, pretty fountain in courtyard, colorful textiles on chairs outside and in rooms. Very pleasant. There is a problem with some of the rooms smelling moldy, but this is the rainy season, and difficult to control with the general humidity of the tropical area; they are working on the problem. Try a couple of rooms if the one offered has a bit of mold smell; some are perfectly fine and beautiful. Some of the rooms would be more pleasant if they took out a bed, too many beds crammed into some rooms.The place is so pretty and staff so nice that I will go back despite these few issues. The friendly staff also will find taxis and transportation, and the breakfast for US$5 is huge and good. Purified water in big jug, free, to fill your bottle, and avoid buying one more plastic bottle--great idea. Also free coffee always available, and free internet!